I’ve referenced ‘personal growth’ a few times now, but I haven’t really explained what I’m talking about. Here it is. I am prone to being quite insecure. I lie to myself about how people see me, and I care way too much about what other people think. I always have. I doubt my instincts, and constantly question my convictions. I tend to see other people as ‘above’ me in most aspects of my life, and for a long time I was okay with knocking myself down every time I felt any confidence. None of this serves me well in my role of momma. It got in the way, and it kept me from fulfilling my responsibilities to my kids.There was a point where all of this was so overbearing that my anxiety was crippling. I was so afraid to be around other moms that I froze. I became stuck because I doubted every decision I made. It was easier to not make decisions. By giving in to my anxieties and insecurities, I was deciding to let them win. I decided to believe the lies that I was telling myself. All mommas were better than I was. I wasn’t smart. I wasn’t a good friend. I was a lazy mom. My husband could have done better. I was selfish. The list goes on! All of this came to a head when little brother was a few months old. I was exhausted all the time. I was trying to control everything because I felt like having control would be fulfilling. I was faking it around everyone, and falling apart when I was on my own. I thought I was really good at ‘faking it’, but friends have since told me that I was a mess (thanks, friends!). I was so distant from everyone because I was terrified that they would see ‘the real me’ and judge me. Oh how I wish I’d let everyone in! Everything would have been much easier if I’d been wiling to openly admit that I was struggling. I gradually began to reach for help. This help came in several forms. I started to read my bible and other helpful literature (like brune brown’s The Gifts of Imperfection). Nursing all the time created lots of time to read! I joined a mom group and made a point to go to play dates so the boys and I weren’t alone all the time. Eventually these small steps led to a desire to really delve in and find the root of my insecurities. That is a ton of work that I’m not quite ready to share with the internet, but I have learned to conquer things instead of cower. Now I have an active social life (Ha! Well, it’s more active…what mom of toddlers actually has an active social life?). My husband and I communicate much more openly. I give of myself in ways that make me vulnerable to people’s opinions. I write my thoughts and post them on the world wide web for everyone to see. I don’t give in to my insecurities. I rarely even think about myself as compared to other people. I’m even (dare I say it) confident. So, I thought i’d share some things that I think every momma should know about herself…every person, really, but I learned these things as a mom. 1. You can’t achieve perfection, so stop trying! You may not struggle with this like I did, but I think we all want to be, or even just seem perfect in the eyes of others. It’s so much work! It’s exhausting to always wonder if you did or said the ‘right’ thing. There is no such thing as perfect. Every decision that you make will be wrong to someone. You will look back on what you once thought was perfection and realize how wrong you were, so stop comparing yourself to impossible standards and just be you! 2. You are not alone. Momming can feel so isolating (whether you’re a sahm or a working mom). At times I’ve felt completely alone, even if there are people everywhere. The truth is, mom’s are never alone. There are so many resources for mothers, we just have to access them. My resources have been other moms, my husband, God, and counselors, but yours may be a little different. The point is, you aren’t doing this alone! It feels like it sometimes, especially in the beginning when you are physically alone with a screaming ball of confusion, but people (real people who will happily take your screaming baby for a few minutes) are close! You don’t have to do it all on your own. Some of you probably have very different people in your life than I do. Some of you may be saying, “no, lj, I really am alone.” If you feel this way, leave your house. Take your screaming baby to the grocery store and make eye contact with other moms. I assure you that you will realize that you are not alone. I have been rescued by strangers too many times to count . 3. Your value does not come from other people (No matter what they say!). Don’t believe the lies that have been told about you. I’ve been called selfish and lazy. I’ve been shamed for not letting people emotionally manipulate me. I’ve felt like I had no value because someone who didn’t see their own value decided to tear me down. I’ve been through it, y’all, and I can assure you that my value does not come from anyone else! And neither does yours! Your value rests in the fact that you were beautifully and wonderfully crafted to be uniquely you. Listen to those who speak the truth about you. It’s so hard to find the right voices to listen to, so keep your eyes and ears open. Seek counsel of those who are wiser and have more life experience (or professionals- I have loved using counselors as a guage for what is and isn’t true!). 4. Your body is important. Treat it well. Exercise. Eat good food. You’ll feel so much better, and your life will look so different. Trust me. I started by doing what my boys were doing, be it jumping or crawling. I realized that I was in horrible shape! I couldn’t breathe, y’all . So I started waking up super early to get some exercise before the boys were up. 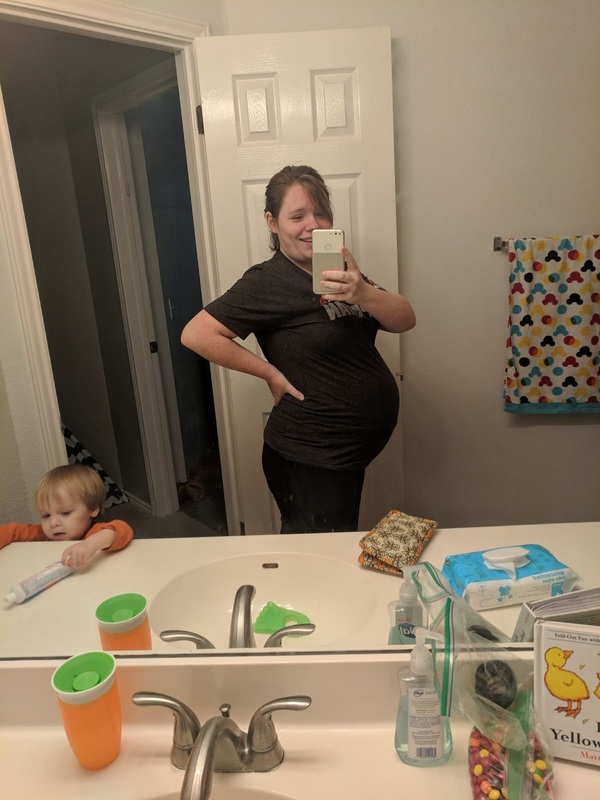 It was great while it worked for our family, but I started to get tired of going to bed before my husband, and I got pregnant, so I had to make a change. I just did workout videos at home. Quick and easy. My kids play around me, and sometimes even participate. 5. Your mind is important. Treat it well. Say nice things to yourself and others. Practice gratitude. Try to be aware of what’s going on in the world. Think about things that aren’t kid related…it’s hard! I once had to look up a list of non kid related topics 😂. Feed your mind. Use your mind. Teach your kids things…I’ve heard that teaching is great for your brain. 6. You know more than you realize (you haven’t lost IQ points since becoming a mom). We definitely don’t access all of our stored info when we’re parenting, but it’s still there. I sometimes feel like I’m incapable of contributing to adult conversations. I’ve often asked my husband if I seem stupider now. (Not joking!) I’m not! And neither are you! You’re a mom! Your brain is on overload all the time. You are constantly learning about tiny humans and how to care for them (and each one is different!). Your active knowledge bank is huge, so give yourself a break. Read a book in the cracks and you’ll reconnect with some of your passive knowledge. Mommas, love yourselves! It’s a journey that I’m very much still on.